18 Holes of “Fun and Fair” Golf! The 18-hole Mountain View Course wanders around a wooded plateau between The Woods Pro Shop and the Third Hill Mountain which dominates its views. Most holes play flat and fair, but many golfers are happy to ride carts up and down the hills between some greens and tees. Carved from a forest, Mountain View’s fairways are framed by dogwood, maple, oak, and pine trees. A variety of housing types and architectural styles line the fairways. Be sure and check out the 18 hole Stony Lick mid-length golf course. 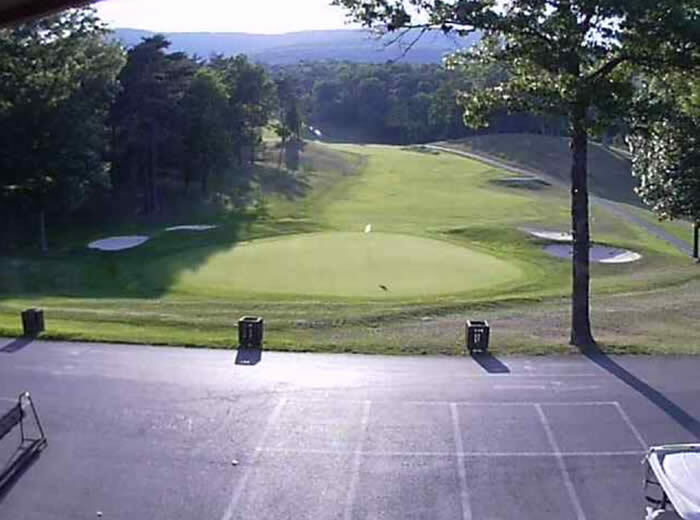 Click on the image above for a live shot of 18 on Mountain View. When prompted enter “woodsgolf” as the user name and “thewoods” as the password. 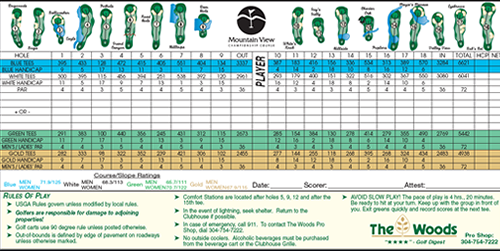 Click the Image below to see a pdf file of the Mountain View Scorecard. Click on the map below for an enlargement.